Location, location, location is something that’s done right at The Daley. With a variety of restaurants to choose from, The Daley puts you in close proximity to enjoying the finer things in foods from around the globe. Eat out at one of these Rockville restaurants this weekend. Il Pizzico is not what it seems from its strip mall location. It’s a hidden gem and local favorite that serves authentic Italian dishes from chicken marsala to a ravioli stuffed with ricotta cheese. An extensive wine menu featuring both American and Italian varieties makes this the perfect spot for a romantic night out or classy dinner with friends. Dress code is smart casual. This restaurant is just a six minute drive from The Daley. La Limena boasts a family-friendly atmosphere and flavorful Peruvian meals to excite your tastebuds. Here, you can munch on a variety of meats and classic sides from plantains to fried yucca to Peruvian corn on the cob. Near the Rockville Town Center, La Limena is only a 13 minute drive from The Daley. The Lebanese Taverna Cafe is a Rockville Town Center favorite. Order up chicken samosas or, for those who prefer vegetarian and gluten-free fare, try the Baba Ghanoush, an eggplant dish that’s sure to wow your palate. Drive 12 minutes to the Rockville Town Center for some tasty Lebanese cuisine. What started out as a chili joint in Alexandria, Virginia has grown into a local chain and hangout within the past thirty years. Choose from a wide range of chili macs and burgers to fill your craving for comfort food. This Nelson Street spot is just a 10 minute drive from The Daley. 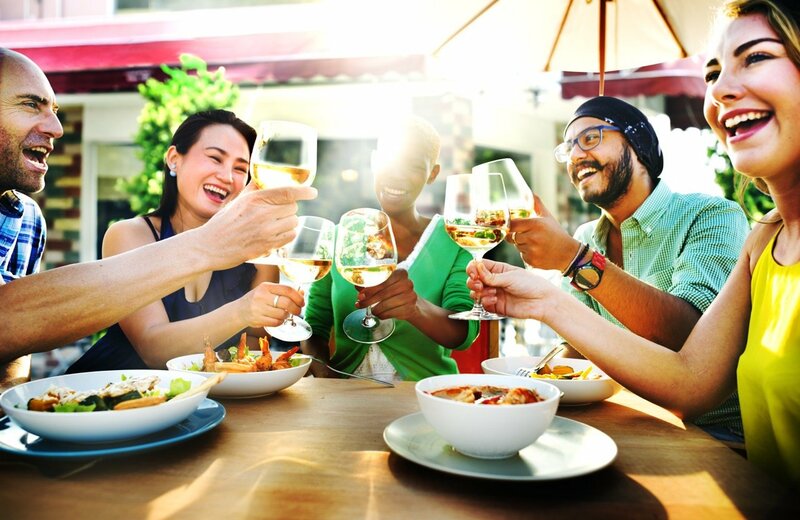 Expand your mind and your palate while enjoying international fare living at The Daley, close to all of these great Rockville restaurants!